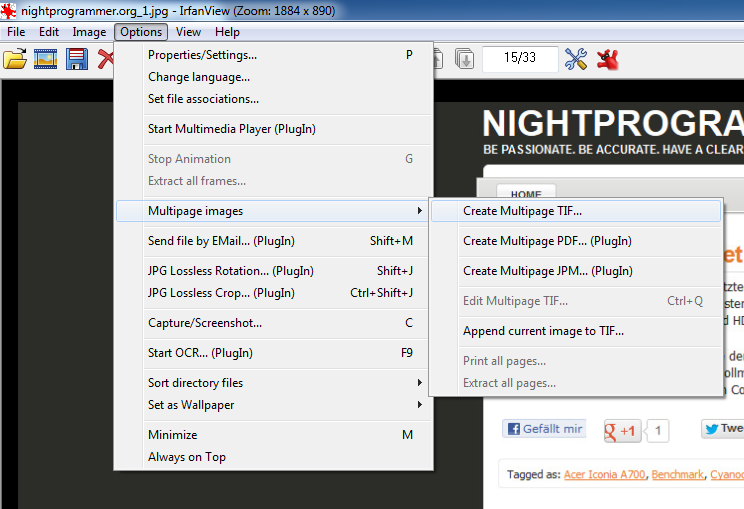 So I started my everday search in google: Multipage tiff example, multipage tiff file sample, multipage tif download etc. Nothing. 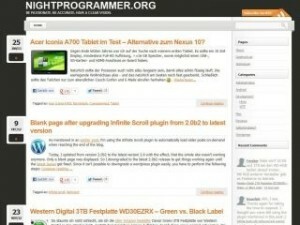 Mostly results about programs that can handle multipage tiffs. Yay! Also google image search left me out in the rain :(. 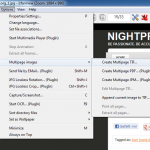 Screenshots of programs that can handle multipage tiffs. Yay, again! After 30 minutes of searching, I decided to create my own multipage image. Started up GIMP and tried to find an easy way. No luck. WTF! Then irfanview came to my mind – very handy when it comes to image viewing and manipula tion. So I gave it try and after 2 minutes I had my multipage tif :D! 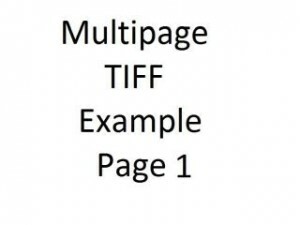 So for everyone, not willing to create your own tiff, or not finding one on google like me, here is a small and big 10-page multipage tiff example for download. 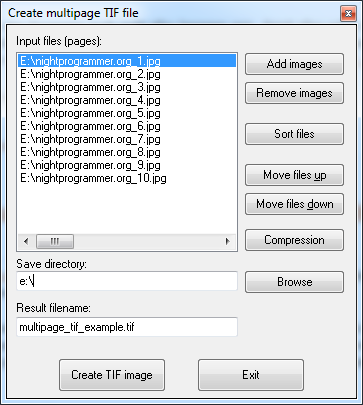 If you would like to create your own multipage tiff, simply install irfanview, go to “Options/Multipage images/Create Multipage tif…” and select the images you want to be included in the tif. 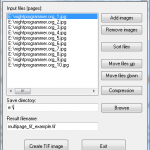 Press “Create TIF image” and have fun!